"I thought this was a great way to give back to our community." 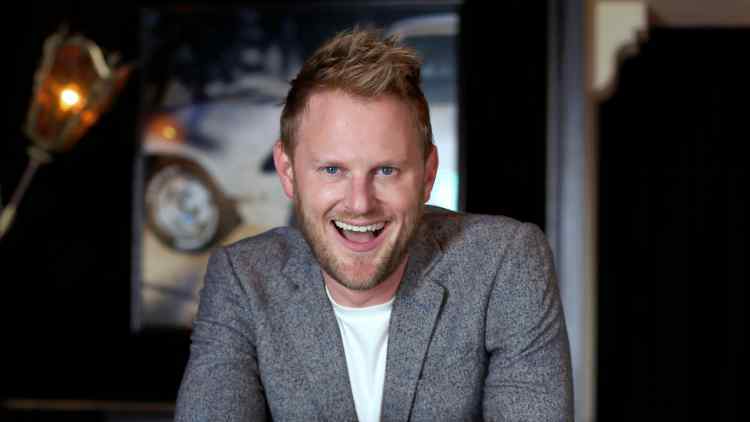 This weekend in New York City Pride parade, Queer Eye design specialist Bobby Berk is teaming up with Lyft to marry couples — on a float! —during the Pride parade. "You always get a very friendly and inclusive feeling when you interact with Lyft. Their values represent the same values I have," said Berk of the partnership. Gay marriage is a cause that's close to Berk's heart. "My husband and I have been married for six years, we got married as soon as it was legal to get married and we were married by a friend who was ordained," he told Out. "I thought this was a great way to give back to our community." Out: How is this initiative going to work? Are these couples pre-screened or are these fully pop-up weddings? Bobby Berk: No, they can’t just run up and get married. There are three couples who have already been pre-selected, everything is planned out with them. This is something Lyft has been planning and taking care of, making sure that the couples marriages are organized and turn out great. Why was this an important initiative for Pride specifically? Everyone has this freedom of expression, especially in the Pride parade. Many people choose to express themselves in a wide variety of colorful ways. I am choosing to express myself in showing the world that gay marriage can be just as normal as anything else — not that getting married on a float is normal — but that gay couples are just the same as everyone else. Being able to be married is one of the things I have the most pride of in the world. I never thought that I was going to be able to be married. My husband and I have been together for 14 years and we thought that we would be life partners, so there’s a lot of pride in that. That’s what I want to show the world, pride through this expression of love. Does it feel important to you to remind the community and maybe the spectators at Pride that gay marriage is a relatively new right? I think so. Sadly there’s a lot of people out there fighting to try to take it away already and I want it to always be on the forefront of everyone’s minds, that this isn’t a right we can take for granted, it’s something we still need to be fighting for. In the first episode of Queer Eye season two you, opened up about your emotional past with the church, how does that affect your views on marriage? As you saw, I didn’t go into the church. So for the traditional ideas of when and how you get married, it’s usually done in a church. So for me, not really wanting to have anything to do with the church, this is a beautiful way to show that marriages don’t necessarily have to happen in a church — you can if you want to, if that’s your thing, but for me it was important to show the world that marriage is about wherever you are whoever you’re with, not about the space that you’re in. Queer people often have to find chosen families, is there something especially poignant about marrying these couples in a setting where they’ll be surrounded by their community? So many of us have our families turn their backs on [us], so you have to gout there and find the people that love you unconditionally and that’s one fo the beautiful things about the queer community: we are so loving and accepting. We’ve been shut out and discriminated against our whole lives, so we have the opportunity to take control of our situation and welcome everyone. These three couples getting married, with tens of thousands of their “chosen family” of witnesses is beautiful.